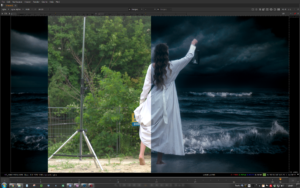 The demand for visual effects and 2D-to-3D conversion in film post-production is rising, whereas financial resources and production time are being reduced. Not having the resources for their own algorithm and software developments, small and medium post-production companies rely heavily on the tools provided by commercially available software products with limited functionalities. Innovation: Through the EU-funded project Autopost, EARTO member EURECAT is developing a close-to-market set of tools by integrating cutting-edge technologies into plugins for standard post-production software platforms. AutoPost’s objective is to automate major parts of the daily workload in audio-visual post-production, increasing efficiency by reducing time-consumption and costly manual processing. A user-centred approach is being adopted to ensure the plugins’ commercial acceptance. Impact Expected: The AutoPost Plugin Suite brings together innovative features specifically addressing the needs of European post-production houses. AutoPost tools can provide 80% of time savings in retouching work, leading to 20% reduction of the post-production costs, while increasing the quality of the results. Such innovative solutions will boost the competitiveness of the European post-production industry. Eurecat is the main Technology Centre in Catalonia, Spain. Multidisciplinary and multinational, its team of 450 professionals work in more than 160 projects of applied R&D with high strategic value.